No need to rehearse the steps of your pre-event promotions! 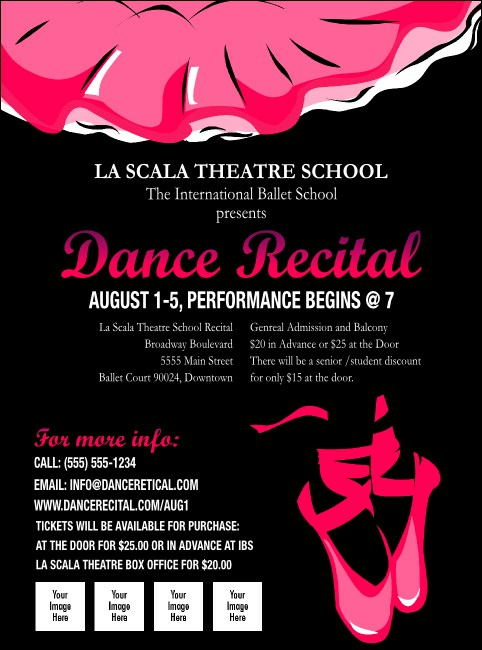 Practice the art of great advertising when you promote your next recital with Dance Recital Flyers. These Flyer templates are featured in black and accented with a pair of bold pink ballet slippers, along with room to upload four unique images. Simplify your pre-event advertising routine with TicketRiver.com.au.